Cute Dog. Dog T-shirt graphics. watercolor Dog illustration. 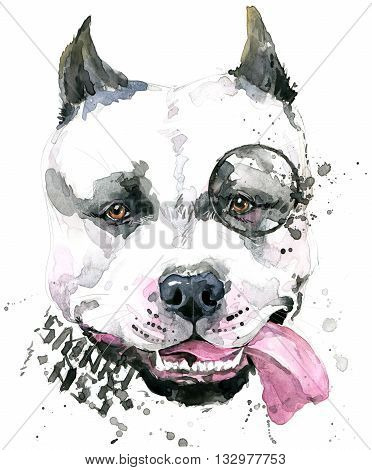 watercolor funny Dog for fashion print, poster, fashion design. Aggressive dog breed.